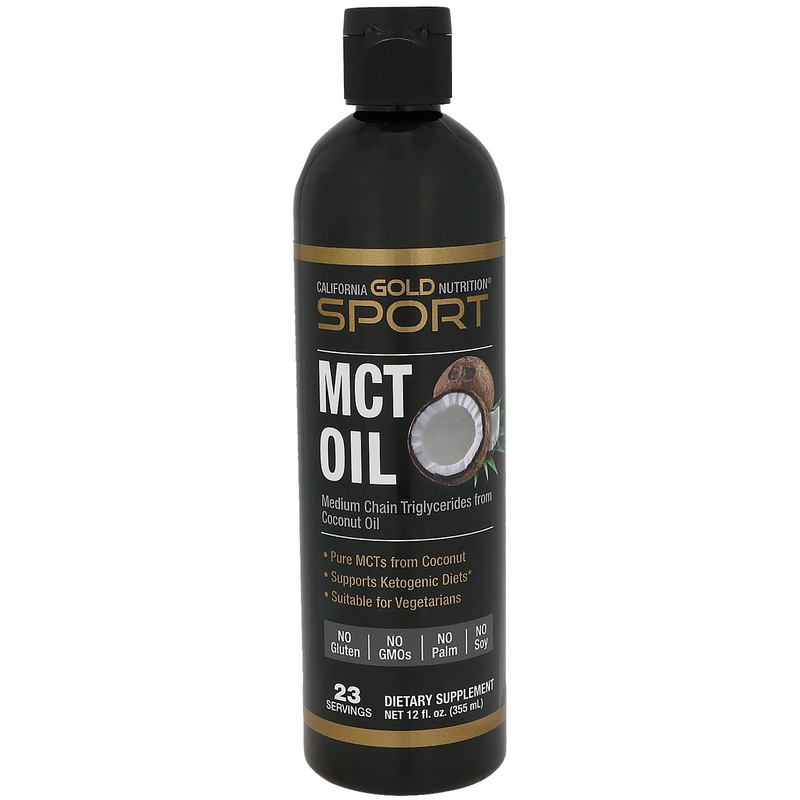 California Gold Nutrition SPORT MCT Oil contains 14 g of pure MCTs from Coconut Oil (including Caprylic and Capric Acids) per serving and nothing else: No Gluten, No GMOs, No Palm Oil, and No Soy. 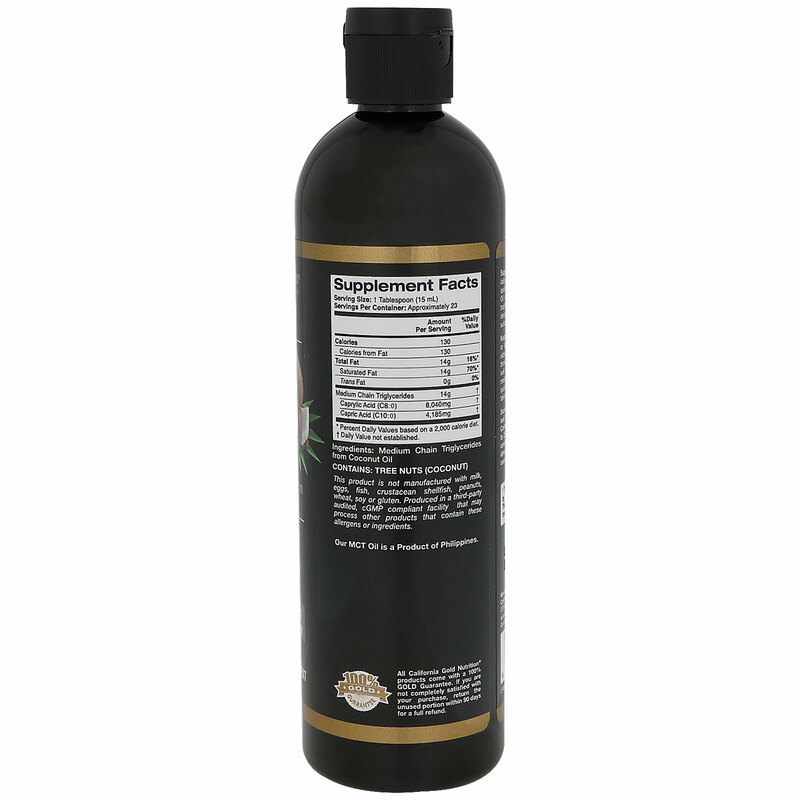 Take 1 tablespoon (15 mL) daily. Best when taken as directed by a qualified healthcare professional. Our MCT Oil can be used in cooking/baking and traditional food recipes or added to salad dressings, shakes or smoothies. Not suitable for frying. This product is not manufactured with milk, eggs, fish, crustacean shellfish, peanuts, wheat, soy or gluten. Produced in a third-party audited, cGMP compliant facility that may process other products that contain these allergens or ingredients. Our MCT Oil is a Product of Malaysia. Natural variations may occur. Keep out of the reach of children. Pregnant or lactating women, the chronically ill, elderly, individuals under the age of 18, those taking prescription medications as well as those with a physician-diagnosed medical condition should consult with a qualified healthcare professional prior to taking dietary supplements.